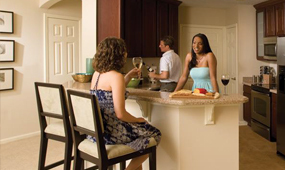 Between a day at the beach and dinner at the Town Center, there's no better place to recharge...Enjoy resort style living with an affordable lease. At Wynnfield Lakes, you'll be surrounded every day by luxurious perks, usually reserved for homeowners: natural stone countertops, stainless steel appliances, 9' and 10' ceilings, elevators in each building - the best of the best, all in oversized floor plans that will give you the room to live, entertain and relax. Wynnfield Lakes Apartments is a Pet Friendly Community! Max 2 pets allowed. Breed Restrictions Apply.